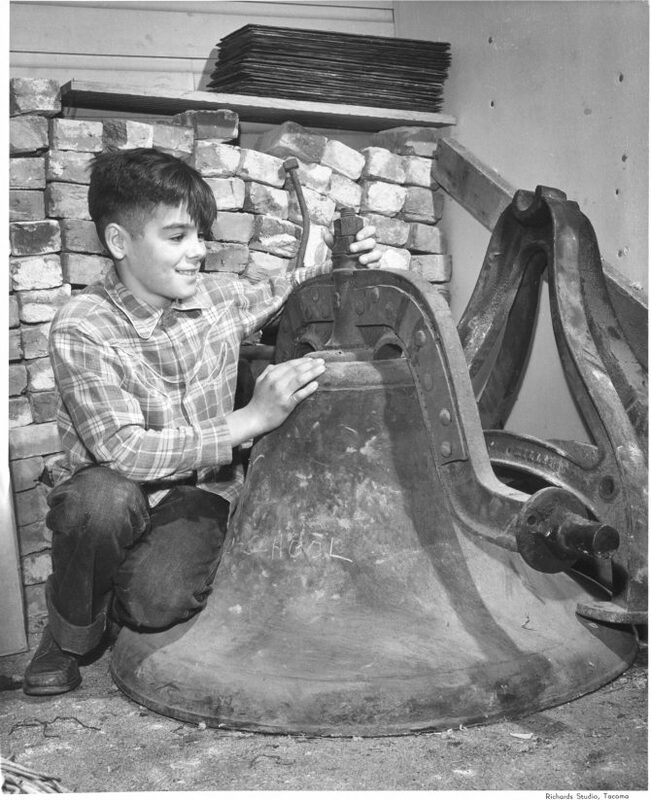 In this photograph from October of 1949, an unidentified student kneels next to the bell that had hung in the bell tower at Lowell School, 1210 No. Yakima Ave, until the school was severely damaged by the earthquake of April 13, 1949. The school was condemned and demolished, and a new Lowell School was built at 810 North 13th Street.